A house is incomplete without a roof. A roof provides protection and shelter much like the walls. Roofing of a High River home adds to its beauty as well as value. Are you planning to construct a new house or an office? Great! But, have you thought what kind of roofing will be best suited for it? If not, then start thinking right now, as even roofing reflects your status. Are you finding it troublesome to decide what type of roofing will be best suited and how to go about it? Do not worry; professional High River roofing contractors are there at your service. 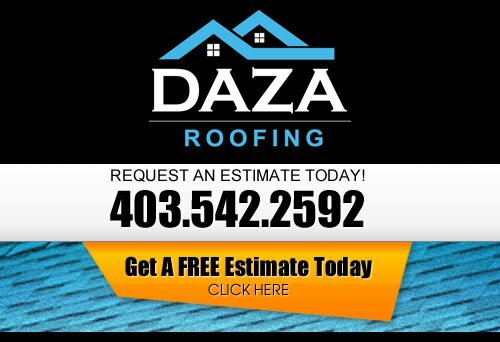 At Daza Roofing, our Roofing Contractor wants to be your High River Roofer. Whether you need a one-time roof repair or the security of an ongoing preventative maintenance program, you can trust the High River roof repair experts at Daza Roofing to get the job done right. Our professional contractors can inspect your High River roof and determine if there is any damage that needs to be repaired. Your commercial roof is probably the most important structural part of your business, and we take the roofing business seriously. This is why the expert High River Commercial Roofing Contractors at Daza Roofing, should be the first call for your commercial roof needs. Our skilled crews have worked on every type of roof system and truly understand how they are built and how they are supposed to work. Our High River roofing contractor is dedicated to helping you with even the toughest of decisions when it comes to your roof, regardless if it’s roof repair in High River or roof replacement. From start to finish, the roof replacement roofers of Daza Roofing work with the homeowner every step of the way. Our goal to ensure that the roof replacement project is completed just the way you expect it. If you are looking for a professional High River roofing company, then please call us today at 403-542-2592 or complete our online request form for a free estimate.